Hello! Hope you're enjoying our latest home tour! Today, we're moving out of the main living spaces and into the bedrooms. This little girl's room is just so sweet. Her only request was "pink" so we layered many different tones together to great effect. Generally, the wall color is decided as part of the scheme, but the paint colors had to be decided way before we even started talking about furniture. We wanted to find something that had a hint of coral and wasn't too overwhelming. Love & Happiness by Benjamin Moore was appropriately named and really delivered for us. 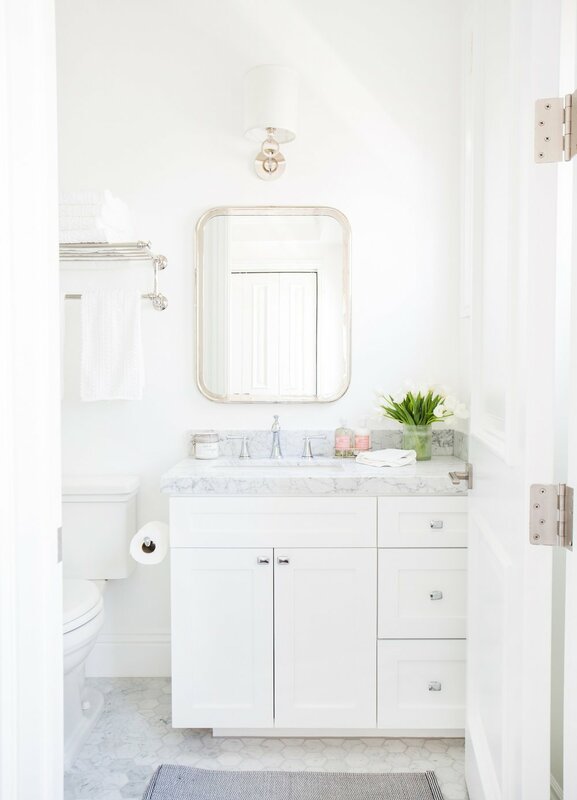 An all white bathroom allows little details like the curved corners on the mirror and that cute sconce to shine. 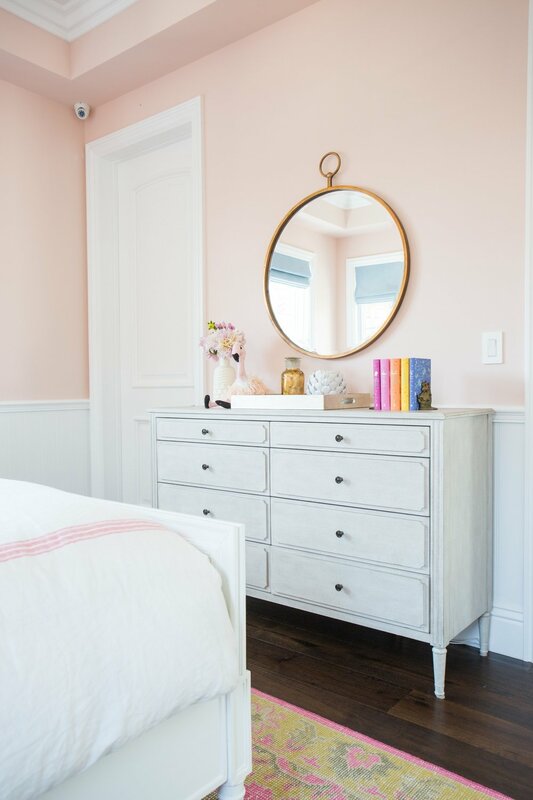 Soap might not seem like a big deal, but I think the blush pink label adds so much! The adjoining bathroom features Chelsea Gray cabinets, marble herringbone floors and one of my favorite vintage surf prints. Guest Room: Bed | Quilt | Art | Lamps, Side table and bathroom artwork can be ordered through us! Email support@studio-mcgee.com for info.